Copywriter – idé, research och copywriting på engelska. Jacobi Carbon startades 1916 och under jubileumsåret tog man fram en broschyr för att presentera företagets bakgrund och utveckling. Aktivt kol har en unik förmåga att fånga in giftiga gaser och föroreningar och används inom en mängd olika branscher, allt från att rena luft, mat, mediciner och vatten till att utvinna guld i gruvdrift. The Jacobi Group was founded in Sweden in 1916 by Ferdinand Adolph Wilhelm Jacobi. Over the years the company has grown into one of the world’s largest manufacturers of activated carbons for a wide array of applications. Today the Jacobi Group consists of three divisions, and i s a proud member of the Osaka Gas Chemical’s Group. 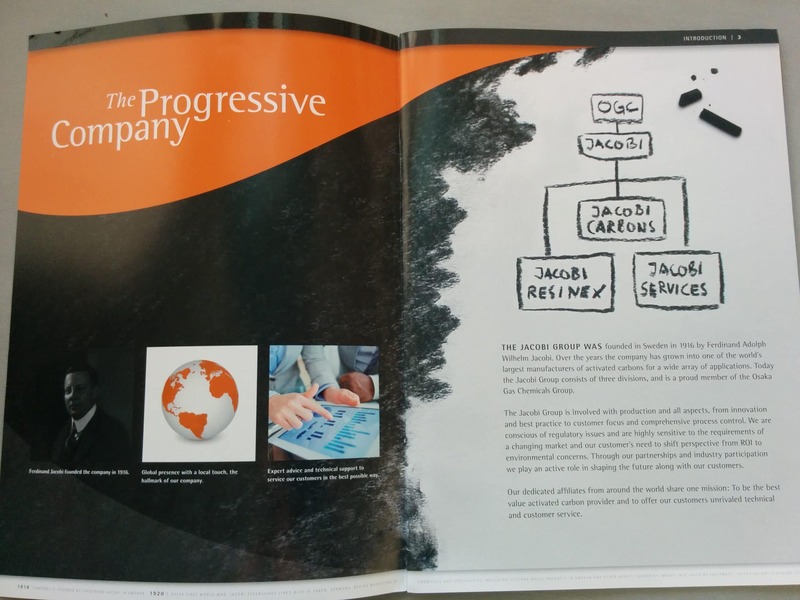 The Jacobi Group is involved with production and all aspects, from innovation and best practice to customer focus and comprehensive process control. 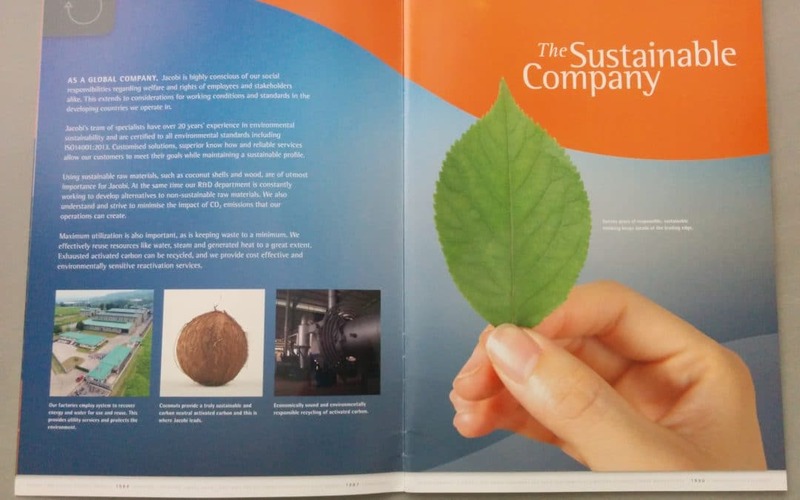 We are conscious of regulatory issues and are highly sensitive to the requirements of a changing market and our customer’s need to shift perspective from ROI to environmental concerns. Through our partnerships and industry participation we play an active role in shaping the future along with our customers. Our dedicated affiliates from around the world share one mission: To be the best value activated carbon provider and to offer our customers unrivaled technical and customer service. Carbon is the most abundant element on earth. Also, it is Jacobi’s specialty; our “bread and butter”. 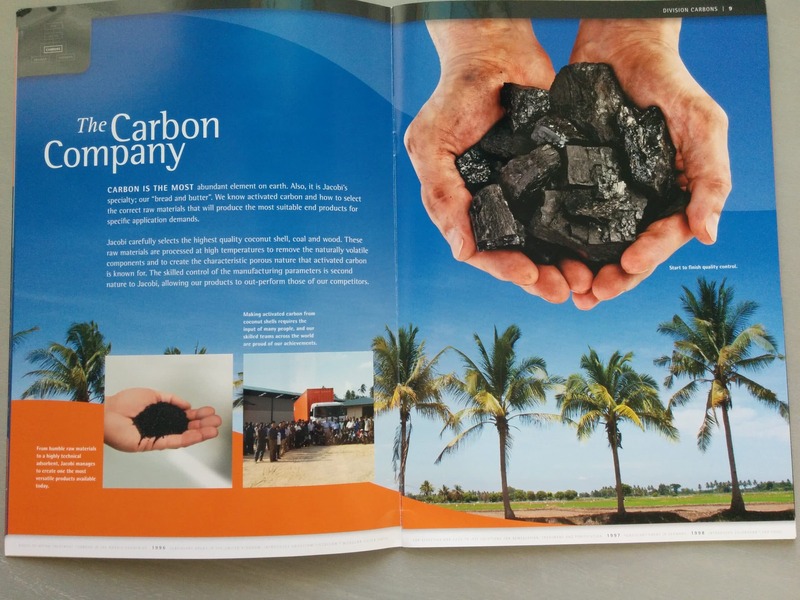 We know activated carbon and how to select the correct raw materials that will produce the most suitable end products for specific application demands. Jacobi carefully selects the highest quality coconut shell, coal and wood. These raw materials are processed at high temperatures to remove the naturally volatile components and to create the characteristic porous nature that activated carbon is known for. The skilled control of the manufacturing parameters is second nature to Jacobi, allowing our products to out-perform those of our competitors.